Patagonia. The name itself is imbued with myth. Well before the advent and arrival of the tourism industry, the southern latitudes of the Andes in Chile and Argentina with its notorious weather received the name Patagonia from Ferdinand Magellan for the patagons, indigenous inhabitants from which archaeology still has unanswered questions regarding their arrival. This mystery has further added to the areas mystique. In the modern day, the draw to Patagonia is stronger now than ever, and adventure seekers worldwide find themselves pulled down to see its high granite walls, glacier clad reaches (the third largest continental ice mass after Antarctica and Greenland), the dry steppe and coastal fjords. They seek to feel its stinging, icy winds and the occasional heat of the sun at far southern latitudes, or maybe hear the squawking of penguins on Tierra Del Fuego. 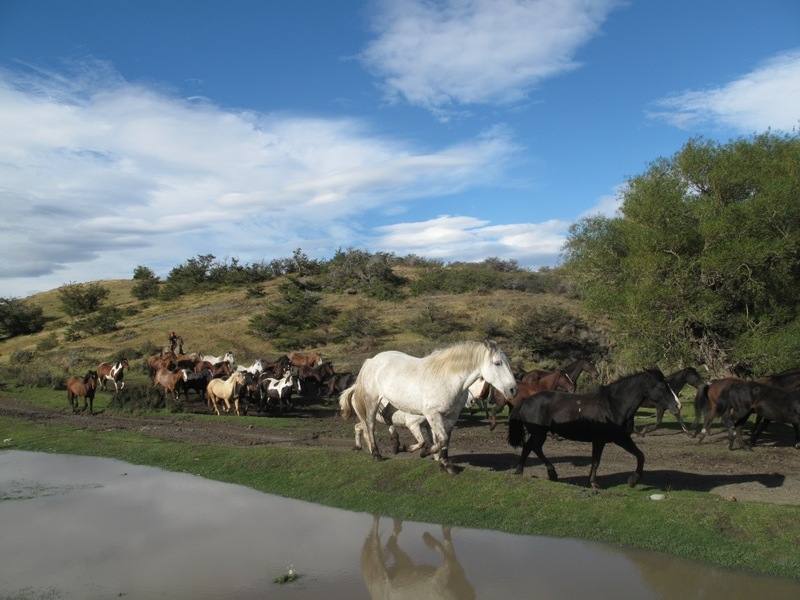 In recent decades a lot has changed in Patagonia, for better or for worse. The end of the Pinochet regime in Chile in the 1980s marked a political turning point, and increasing connectivity and accessibility between Magallanes and Argentine Patagonia have contributed to the opening up of a new era of booming tourism. The popularizing of adventure travel has produced hundreds of packaged trips, tour boats, guided day hikes and the refugio, complete with wine (hiked in for you) and garbage (hiked out for you) for maximum pleasure and ease of mind. In Chile’s Torres Del Paine National Park, thousands of people flock to see its granite towers and glaciers. One day trip guide I met on the trail told me that there are well over 150,000 visitors per year. These visits are contained largely to the months of January and February with March and April becoming more popular thanks to recommendations to visit in the “shoulder season” by Lonely Planet. It’s an interesting mixture of week plus backpackers completing the “O” circuit around the park, the shorter “W” trek which essentially takes you into three of the more notable valleys, or day hikers and refugio trekkers without any equipment to stay out. Confined to the trails, it is a unique feel of raw nature and human circus. Anyone who has spent time in the backcountry knows that the smell of perfume takes on a noxious, powerful smell after a few days out. 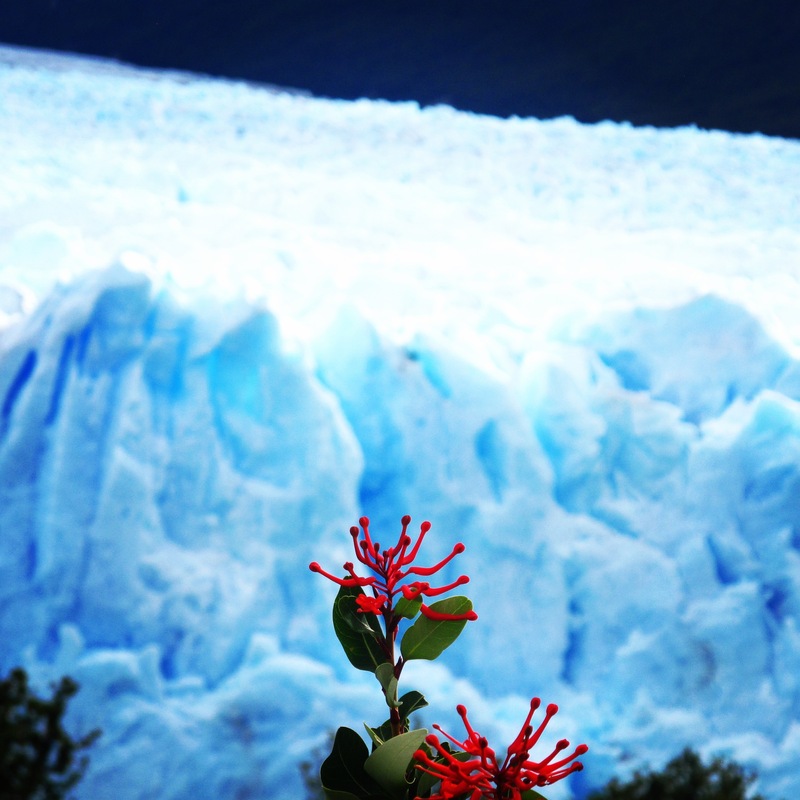 This is a common scent on the trails of Torres Del Paine. Patagonia is a product. The Chilean and Argentine governments know what they have got, and that is a stellar natural resource prime for tourism. This has taken on a concerted public and private marketing campaign to promote both country’s high end tourism industries. The slogan for one tourism outfit read “unique nature experience.” Maybe so, but for some electricity and beds are not part of said experiences. Around Torres Del Paine and other notable parts of Patagonia like Cerro Torre and Fitzroy in Argentina, its hard to escape the evidence of this style of travel. But it wasn’t always so. When Yvon Chouinard named his outdoor company Patagonia, he was one of the first extranjeros to go down with the intention of climbing and exploring this region. Their original trip, captured in the film 180 Degrees South was one of complete uncertainty by road on the Carretera Austral highway to see what they could climb and surf. The name, he says, stemmed from the mystery and raw power of the place. In addition to forming a reputable business ethic in the manufacturing and sale of outdoor equipment and apparel, he has inspired a whole generation-actually more like two generations-to get out and push themselves and to find their own adventure and pursue passions outdoors. They’ve made “dirtbagging” cool through maximizing the user days your gear has and have taken on a campaign for Worn Wear. Patagonia the company is certainly revolutionary in the business world. But while cutting edge apparel and equipment makes a difference in what legendary alpinist and Patagonia athlete Steve House calls an “ability to exist” in the mountains, I think that our perceptions of what we really need to get by outside has been blown out of proportion through the classic triple threat of marketing, consumerism and unsustainability. Like buying the top-of-the-line gear, a lot of folks come to Patagonia for an adventure experience complete with comfortable amenities. This double desire is rooted in misconception. Adventures cannot be bought. They can be paid for, but the reality is that adventures are earned. Adventure comes from overcoming hardship, pushing the extra mile or fighting through pain. Part of this is being uncomfortable, whether its physical or mental. As Chouinard says, “adventures start when everything goes wrong.” But there exists an interesting contradiction in the human psyche. We love to challenge of pushing ourselves-some more than others-but we tend to also love to retain control and maintain a diving distance to our comfort zones. In pursuing something outside greater than ourselves through challenge outside, we can discover the “natural mystic.” But who knows, maybe some folks just come for some nice rest and a well earned porter-carried glass of wine at the end of the day. Let us be aware then, of the overuse of the word “adventure” in our modern lexicon. Despite the crowds at Torres Del Paine National Park, if you’re paying attention you can still hear the crack and whoosh of a slide of ice and snow on high craigs, then scan to see a white waterfall of an avalanche. You can still be humbled by the sun going down behind the Southern Icefield. Tommy Caldwell and Alex Honnald’s fantastical traverse of the entire Fitzroy massif reminds us all that Patagonia is vast and remains wild and full of challenge, even within these increasingly popular parks. According to Chilean historian Jaime Said, the region is the same size of France, Germany and England combined. That leaves a lot of room for exploration. Although the bigger cities in Patagonia such as Ushuaia in Argentina and Punta Arenas in Chile are growing rapidly, there remains a great jumping off point to the campo or country and beyond. The same Patagonia that Chouinard found in his trip is still there. You just have to put in some work to get there and experience its natural mystic. Bicycle tourists are realizing this and seeing it all by road. Unclimbed peaks abound. Unpaddled rivers and fjords remain. 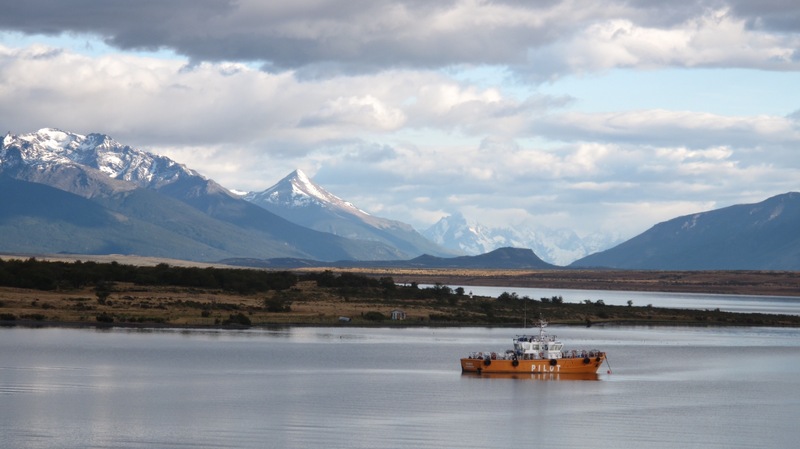 These places carry on the name of Patagonia, imbued with the unknown and uncertain. That is the recipe for adventure.